This is the second winter I’ve put winter tyres on the 330d. It’s also the second winter we’ve had the Impreza. Last winter it didn’t snow properly; this year, we’ve had a proper dollop! This situation quite naturally raised the question that I’m sure was on the nation’s lips this weekend: is four wheel drive on summer tyres better in the snow that rear wheel drive on winter tyres? Admit it, you’d love to know, wouldn’t you?! 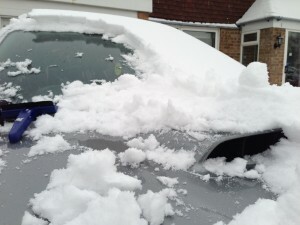 Initially I thought I’d take the Impreza out, so I brushed the snow from its nostrils. Last year we had a one inch coating of snow one morning and I recalled it being the superior vehicle. Certainly it’s a lot of fun. With all four wheels properly locked together with a mechanical centre diff, and a limited slip diff at the rear, it goes where it’s told and it oversteers on the way. Brilliant, brilliant fun. It doesn’t stop too well though. Or corner well off throttle. I think the Impreza does better than many other cars on summer tyres because it’s light (just over 1,400kg) and the four wheel drive system locks the wheels together in such a way that even off throttle, wheels don’t slip as much as they would otherwise. So let’s take out the BMW next and see how that goes. Just look at those tyres! What a machine! The 330d of course suffers from terrible snow woe. There’s really not much weight over the driven wheels, but the car is heavy at nearly 1,700kg. Changing velocity is therefore a challenge. Winter tyres make an amazing difference. Pulling away isn’t as easy as it was in the Impreza, but after that, the 330d is better. 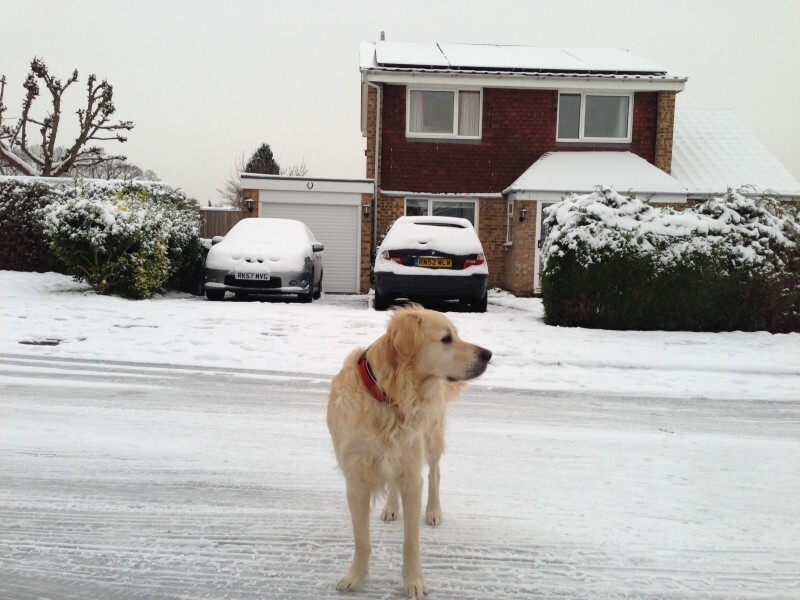 Its ability to put the power down on snow and ice is simply remarkable when compared to its attempts on summer tyres. There have been years where we simply couldn’t get it off the driveway! That was easy enough today, but it also gathers pace very smartly indeed on snow. Braking though, is where there can be absolutely no doubt that the BMW is the better car to be in. Despite a near quarter-tonne weight penalty, the 330d stops and even turns while stopping significantly better than the Impreza. It also has DSC (dynamic stability control) which means that if you don’t want to go oversteering everywhere, it’ll look after you. Not sure why you’d want to do that though. So in conclusion, if I knew there was no one else on the road and I wanted to bop about on the snow for a bit of fun, I’d choose the Impreza. If I had to hill start on the snow, I’d choose the Impreza. For everything else, otherwise known as real-world driving, the 330d on winter tyres wins hands down. I can only imagine how good the Impreza would be given winter boots! 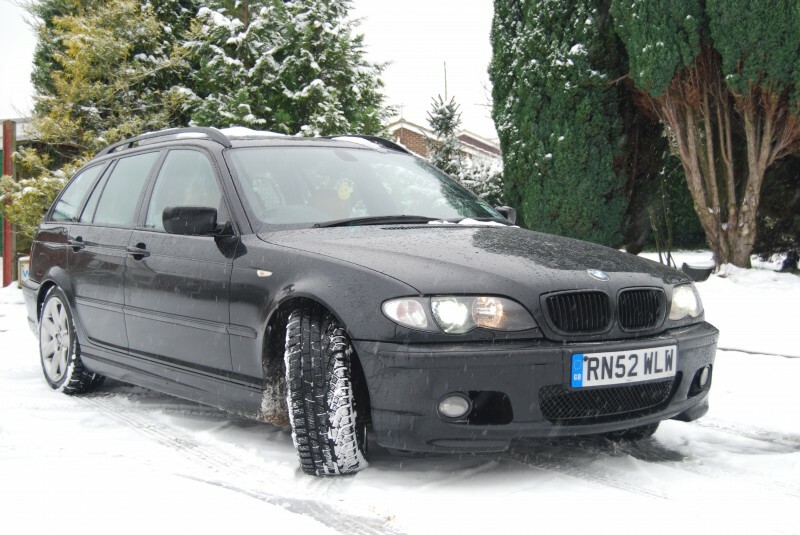 My bro has kept a set of 17s with snow tyres for 3 years for his 530d Touring. I’ve yet to try it myself but he’s always saying how great they are.